Erberth Santos is a Brazilian jiu jitsu black belt under Luis Guilherme (also known as Guigo), who was regarded as the sport’s top brown belt during his 2014 campaign. 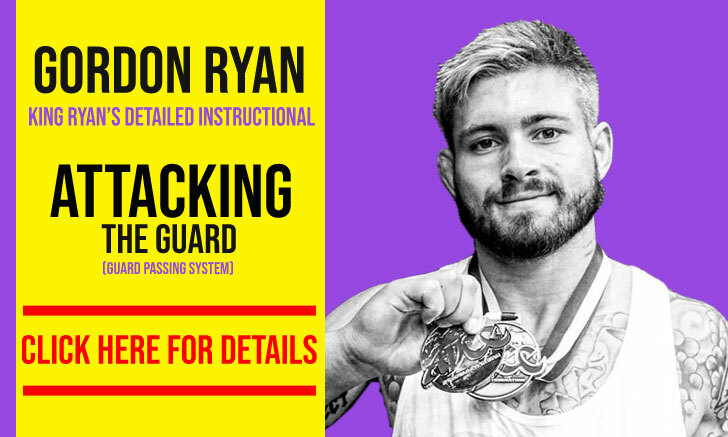 This honorary title was earned through Santos’ incredible performances during the IBJJF World Championship, Pan American Championship and the Brazilian National Championship that year, tournaments won by Santos in both his weight and the open weight divisions. 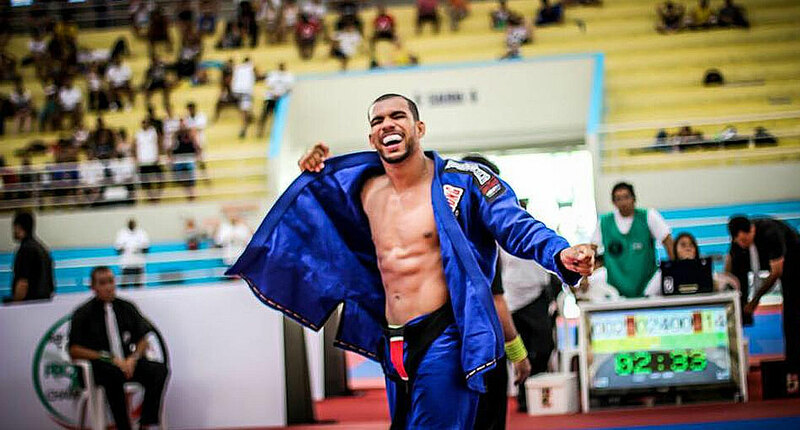 A former member of the Guigo Jiu Jitsu team, Erberth Santos changed to Almeida JJ on November 2015 due to an internal dispute, later severing ties with the Almeida brothers also (September 2017). Nickname: “Dino”, short for Dinosaur due to Erberth’s appearance and strength. Erberth Santos was born on the 17th of Febuary, 1994 in Maranhão – Brazil, but moved to Boa Vista in Roraima when he was 3 years old. 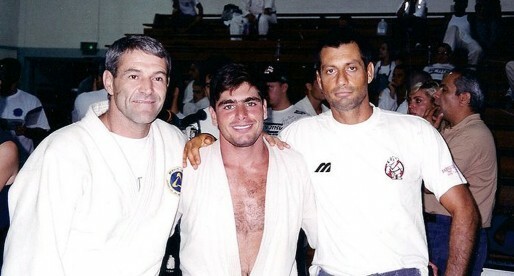 At the age of 9 Erberth was introduced to jiu jitsu by his sister’s boyfriend who was a blue belt in the arte suave. 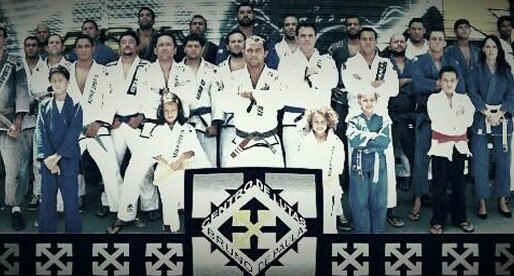 Santos didn’t know about grappling, but after hearing about it he decided to visit the local social project where it was taught. It took him one single class to decide that he wanted to train as well, and immediately asked if he could apply for a scholarship. Coach Pedro Freitas took Erberth under his wing at the Roraima Top Team academy and although Pedro was a blue belt at the time, he saw immense potential in Erberth, and always pushed him to compete. When Erberth’s mother would not let him train for doing poorly at school, coach Freitas would always come to the Santos residence to convince her to allow Erberth to train. Although from a small team, Erberth started doing well at state and national level competitions. Seeing the talent Santos had at one of these events, coach Márcio Rodrigues brought him in to his training centre, a team Rodrigues built in Jacarepaguá, with street kids and one of the most well known jiu jitsu social projects in the state of Rio de Janeiro. Santos’ success on the mats did not match his attitude outside and in the gym. After a few unfortunate incidents with his team mates, Rodrigues expelled Erberth from the academy. After his stint at Equipe Márcio Rodriges, Santos was taken in by Luis “Guigo” Guilherme who invited Erberth to move to Sao Paulo, where he could train in a more competitive environment and reach his full potential. Erberth grabbed the offer with both hands and moved to the eclectic Brazilian state. He was a blue belt then. In 2014 Erberth Santos started competing internationally, as a brown belt. Being Lloyd Irvin the strongest connection instructor “Guigo” had in North American land, Erberth began staying with and competing for the Maryland team when in the US. On December, 2014, just after winning the “ASN Challenge”, a mixed tournament where Erberth defeated some of the best black belts in Brazil, Santos was awarded his black belt by Master Luiz Guilherme. Erberth’s behaviour would cause him leave Guigo’s team on November 2015, then being taken by Almeida Jiu Jitsu’s Academy, a team led by Caio Almeida and with links to Atos JJ. i feel pretty conflicted about anyone choosing to represent Lloyd Irvin making it on this website, for "Heroes." sincerely, a LI hard work fan from Houston TX.